Since 2003, HealthSciences Institute’s award-winning Chronic Care Professional (CCP) learning and certification program remains the only nationally recognized health coaching and chronic care training program linked with better patient and costs in organization evaluations and peer-reviewed studies. CCP has been widely adopted by states, provinces, health plans and health systems and associations. CCP is recommended or required for staff at over 100 health plans and public and private health care organizations. Over 5,000 have attained CCP certification. HealthSciences has also led large-scale regional workforce development programs targeting thousands of health care professionals in the US and Canada, including the largest outpatient heart failure performance improvement registry to date (ImproveHF), a 35,000 patient prospective study that improved five of seven HF quality measures at 24 months as reported in a 2010 study published in the journal Circulation. ImproveHF was the foundation for a follow-up national heart failure care improvement program delivered to hundreds of US hospitals. In 2011, HealthSciences Institute released the first health coaching training DVD: Evidence-Based Health Coaching: Motivational Interviewing in Action in partnership with a team of MINT health care specialists from Oregon Health & Sciences University. The DVD features expert interviews and vignettes of health coaching sessions with MINT-level, clinicians working with real patient volunteers. Also in 2011, following a year-long research and development initiative by our research team that included NIH-funded experts in health behavior change, HealthSciences Institute introduced the first standardized, externally validated tool specially designed to benchmark and improve the proficiency of clinicians in best practice health coaching, as well as the quality and performance of wellness, disease management and care management programs. Today the HCPA is helping premier health care organizations including Blue Cross Blue Shield of Michigan and Mayo Clinic deliver better patient-level outcomes to patients and purchasers. In January 2012, following several years of research and evaluation, HealthSciences and the PartnersinImprovement Alliance introduced the first validated, proficiency-based credential for health coaches. RHC supplements the CCP health coach learning and certification program, with advanced training and assessment in best practice health coaching. The program, which has been delivered to a number of large health care organizations, and features the HCPA, is being offered to individuals and teams for the first time. The first National Motivational Interviewing Health Coaching Training Conference was held in Orlando in October 2012. 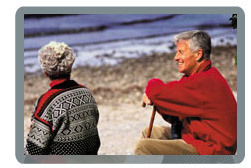 The registry will be promoted widely to health care purchasers, consumers and provider organizations, beginning in 2012. To date, HealthSciences Institute has invested well over $1 Million into research, development and evaluation in translating behavioral science-based approaches to improve chronic care and support better patient engagement, self-care, adherence and lifestyle management. The PartnersinImprovement Alliance has provided training to thousands of professionals, teams and organizations who could not otherwise fund these programs. HealthSciences Institute has also provided technical assistance and full or partial tuition waivers to not-for-profit community organizations and volunteers who provide critical support services to individuals affected by chronic conditions and their caregivers.